Welcome to language-easy.org! Today I’d like to talk about German culture – in specific about the German way of life. Well, apart from from German language, you also should know somethings about the country and its people, as well! So, how are these Germans actually? Are the stereotypes of strict Germans, without any sense of humor and just following orders true? Well, in the last decades Germany has become famous for a lot of things. First, the quality of life is rather high, offering free healthcare and education for everyone. Also German economy is really strong, especially compared to its – rather small – size. But apart from these facts – what are real, modern German values? In the following I’d like to show you show some aspects of German culture that makes this country and its people so unique in this world. So, let’s come right to the most important part of this article about German culture – What are German values and what is their way of life? In the following we will compare German culture to the way of life in North America. As a good indicator for quality of life, we will have a look at the Mercer quality of life survey. Here, this study examines the quality of life in different countries all over the earth. So, the factors that are examined are for example the strength of economy, environmental awareness and the political stability. But also the quality of education and the accessibility to public transport are of high importance. As a result, German cities are frequently present in the top 25 cities with the highest quality of life. By the way, Munich is the top ranking city in Germany being on the 13th place worldwide. But there are also other factors that make German culture so valuable for the quality of life. For example, the parental leave in Germany gives new parents up to three years time to spend with their child. Furthermore, you can receive “Elterngeld”, which is a amount of money of about 190 Euros you receive every month. Compared to the U.S., this is a far more social manner of treating parents. In German culture, especially compared to North American culture, a clear separation of work and private time is really important. So, there is actually a real work-life balance: Weekend is a real weekend. Furthermore, Germans have a 40 hours week on average and 25 to 30 days of paid vacations. So, the universal healthcare system is another really important part of German culture. As everyone has an insurance, it is far easier to see a doctor than in the U.S. Every necessary drug is covered by this insurance – which brings much more social security for people in Germany. Additionally, sick days at work are not cut off your vacation days. Furthermore, employees have up to three day to get better without having to show a doctor’s proof. And the best – German healthcare system covers 70% of your salary on sick days. Well, a central part of German culture is the high quality of public transportation. Whereas in the U.S. you mainly use your car to get from point A to point B, in Germany you a wide spread system of public transportation. Whether you take the bus, the train, the “Tram”, the “S-Bahn” or the “U-Bahn” – public transportation is every available for affordable prices. Of course, you are in Germany! So, Trains and other transportation is nearly always in time. So, free education for everybody is another important part of German culture. Whether you go to kindergarten, primary school, high school or university, every type of education is free. Of course, there are private school which have high costs. But most Germans choose public education due to its high quality and the broad offer of for example different study courses of universities. Compared to the U.S. where the average cost for a four-year institution is about 33.000 Dollars estimated, studying in Germany has a big advantage. Here, students don’t have to worry about student loans and the risks of going into debt. Furthermore, the German state offers to German students a student-loan called “BaFöG”, which consist of 50% loan without interest rates and 50% of state substitution. The national pastime in Germany is playing soccerwhile eating Sauerkraut dressed in Dirndls and Lederhosen with Kraftwerk and Rammstein playing in the background. Of course, that’s not quite true. Nevertheless, there is always something true in stereotypes. In the following i’d like to show you a short list of, actually quite true, stereotypes. Second, Germans love organisation, structure are most importantly, rules. Sixth, German love beer and bread. Maybe you will laugh about some of the mentioned stereotypes. Actually, it is quite astonishing that many of them are quite real in their core. Of course, you should just make your own experience and visit Germany some time. With all the German you already learned on language-easy.org, you won’t have any problem in finding some native Germans to talk to. So, you are going to find out whether these stereotypes are true or not. Well, I think we have come to the end of this article about German culture. Hopefully, you could get a idea of German way of life and the German culture. In case you want to get deeper in the world of German grammar, just have a look to the other parts of this website. So, have you also made this experience? Wherever you travel to in this world, German are everywhere. Nice people – without doubt – and mostly, their English is quite impressive. But have you heard Germans speaking among each other? Well, it sounds strange and really complicated. And when you have a look on German texts it becomes even worse! Surprisingly there are words like “Donau­dampf­schiff­fahrts­elektrizitäten­haupt­betriebs­werk­bau­unter­beamten­gesellschaft” describing an actual shipping company. By the way, this so called compound noun has its own article on wikipedia. Anyway, German is also a very exact language. So, you can express actions, objects, feelings and many other things in a quite astonishing manner. Furthermore, learning German is worth the pain! Just imagine the beautiful world of German, Swiss and Austrian culture you can get access to by learning only one language. Anyways, in this article I’d like to show you some steps that will teach you the best way to learn German. Before you start to learn German grammar and vocabulary, you should become about your main motivation for learning German. Well, there can be many motivations to learn German. First, you will be able to get in contact with a lot of German speaking people all around the world. Furthermore, you can travel within Switzerland, Austria and Germany and talk to local in their native language. Well, that’s a big advantage! Second, you could maybe find a job in a German speaking company. At least German is one of the biggest economies in the world with a lot of international companies like Siemens. Third, the whole world of German speaking culture opens its gates for you! Well, there is classic literature from Goethe, Hesse and Kafka, but also operas and so much more. And don’t forget German moderns culture with its movies and books. So, I think the reasons to learn German are, of course, personal. But there is no excuse – learning a language – no matter which one – never need further justification! After you have cleared up what your actual motivation to learn German actually is, you can go over to the next step and start learning this beautiful language. Well, there are some ways that make it far easier to learn German. Switch your smartphone and your computer into German! Maybe this might be confusing at the beginning. But after some days of work with your system in German, you will understand the meaning of menus and button in German. Download the application of the ARD Mediathek I have mentioned above or any other app, and start watching German television. Luckily, there is a lot of offer in the internet, so there are no excuses. Although you will not understand to much at the beginning, you will succeed at last! Finally, try to find some German speakers you can talk to. Maybe this is the most important step to learn German, the interaction with this language. I am sorry, but I have to do some advertising. Well, there is a German course offered by language-online.org. It has fair prices and there are real German native teaching you. Maybe that’s a good way to invest your money and to learn German. “Gut, danke!” – Good, thanks! – To tell the truth, very good! Thank you for asking. Of course, everyone of you has heard the same: German is an extremely difficult language. But let’s be honest. Luckily it is a lot easier than many people might think! You have some parts that are even far less complicated than in other language. So, as a strategy to stay on a positive path to learn German, you should simply focus on these parts. But what parts make German such an easy language compared to other? Fifth and last, there are no strings of difficult-to-pronounce consonants like in Czech. Well, I think we have come to the end of this article about the best way to learn German. Hopefully, I could demonstrate you how interesting and useful it can be to learn German. Apart from German speaking culture, job opportunities and the contact to thousands of people are a huge argument to learn German. In case you are interested to learn more about German Grammar and culture just have a look on our topics on language-easy.org! Well, Let’s talk today of a rather ugly and complicated part of this language, the German pronunciation. Of course, “ugly” is relative – but nevertheless, the German pronunciation of some words differs a lot from the pronunciation of these words in other European languages. Luckily, learning German pronunciation is nothing impossible – you just have to invest a lot of work and practice. But the result is definitely worth all the pain. Simply keep in mind, when you suffer from the complicated German pronunciation, that it is one of the last steps for mastering German. After mastering 80% of German Grammar and learning so hard – does German pronunciation really frighten you? Hopefully, this article will help you to understand the basic concepts of German pronunciation and give you some helpful tricks for mastering this topic. So, let’s try to trick some Germans! Maybe they will never find out that German is not your mother-tongue. So, what makes a German accent actually sound like a German accent? Of course, there are no anatomic differences between English and German speakers. Nevertheless, there are huge differences in intonation and word usage and even in the pronunciation of single letters of the alphabet. Well, let’s have a more detailed look on these topics. So, first of all, what is intonation? Luckily, that’s rather simple – it’s the melody and rhythm of a language. Of course, German intonation is a lot different to the English one: Where you rise you voice in English, maybe in German you lower it. A third factor which makes you sound like a German is not about the pronunciation or intonation of German words or sentences. Actually, it is about the words you use to express yourself. Of course, that’s logical: The better you choose the words for expressing yourself, the more you seem German. Another important aspect of word usage would be different slangs and German accents. Unfortunately, this topic is even more complicated than German pronunciation, as accents vary depending on the region. And I can tell you, there are a lot of German accents out there, and each one is completely different than the other one. Luckily, there are some tools and tricks that will make your learning experience with German pronunciation a lot easier. In the following, i’d like to present some of them – but just be creative! There are many more forms of getting some input of German culture in spoken form, the key-element of learning pronunciation. First of all, and maybe most import, you need some samples of German language that demonstrate you how to pronounce German words. Well, I think that it’s not to difficult to find some German content. Simply look for German podcasts, listen to German radio, download some German audio book or watch German TV-Shows. Personally, I like the content you find on the website of the ARD Mediathek. Here you can find German news, but also classic shows on TV like “Tatort” (Movies about murders in different cities of Germany, which a lot of Germans watch every Sunday evening for almost 30 years). By the way, there is also a free application of the ARD Mediathek available in different app-stores. Maybe you can download it on your smartphone. So, German will always be by your side. So, try to listen or watch these shows or audios again and again. Unfortunately, that’s the only way you will hear all the details of German pronunciation. Well, maybe one of the most important advice I can give you for learning German pronunciation easier is recording yourself. Logically, it is the only way you can actually hear you pronunciation in a neutral way. As a consequence, you will be able to improve you pronunciation by comparing it to audio samples from native speakers. Simply use your smartphone or a computer program to record yourself. Of course, all of you know the international phonetic alphabet. Well, do you? Don’t worry, it is quite simple. So, the IPA is a system of phonetic notations which is used all over the world. Actually, it is really useful as it provides you a way to express the pronunciation of every language of this world, independently from you origin. So called diacritic markers and letters are the tools used for that. So, just have a look on the wikipedia article about the IPA especially for German and its different accents. Furthermore it covers accents from Austria and Switzerland. Once you have reached a point where you can easily express most things in German and you are looking for a new challenge, working on your accent and pronunciation is a great idea. By deconstructing what exactly makes and breaks pronunciation and strategically working on the different parts, you can greatly improve your spoken German. The most important part is to isolate which areas can be improved and work on them in a targeted manner. For that, it is mandatory to construct a feedback system which allows you to incrementally improve the way you speak. Afterwards it is only a matter of time before you can pass as an actual German. For more information about German Grammar and other German related topics just have a look on language-easy.org! Well, what would life be without colors? Yes, your are absolutely right about that – Life would definitely rather sad. Actually, the same happens when learning a language and you don’t know how to express colors. So, don’t let your German learning experience be a sad one and let’s introduce colors in German! At first, we will introduce some basic vocabulary. After that, we will go into some detail and talk about nuances of colors you don’t use in every day language. Nevertheless, you want to be an expert in German, so I think you don’t mind learning everything about this topic. So, let’s go right ahead to the most important part of this article, the direct translation of colors in German. In the following (really colorful) list, you can see the most important color vocabulary. 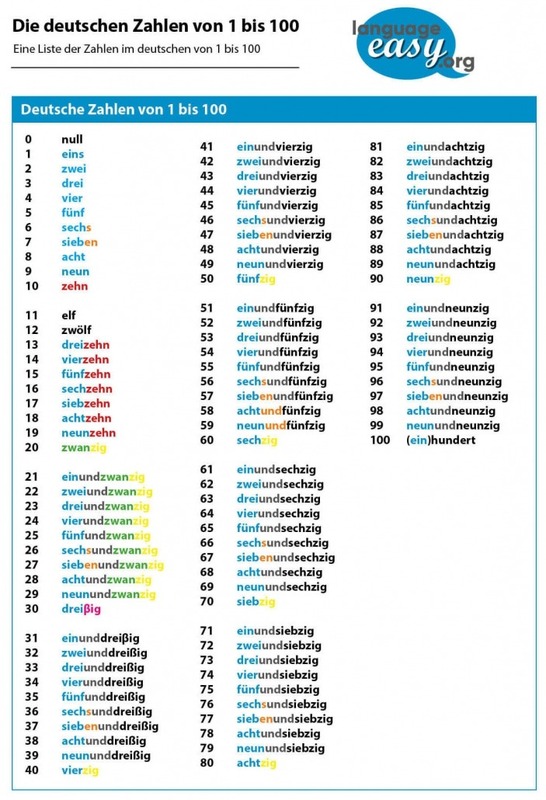 Well, here are some examples that could illustrate the use of the names of Colors in German. Diese Tür ist grün. – This door is green. Das Zimmer ist blau getrichen. – The room is painted blue. Of course, as in probably every language in this world, there are a lot of nuances of colors. Indeed, you use them in every-day language! So, I think it is quite clear how colors in German are formed. Obviously, you just have to add the ending “- lich” to the name of the color you want to describe. Please, keep in mind that vocals like the “a” of “blau” is converted into “ä” in “bläulich”. Here are some examples. In order to express nuances of colors in German, especially nuances that describe tones between two colors, you use the name of the first color and add the other name of the color, combined with “-lich”. For example “grün-bläulich”. Unfortunately, there are even more nuances! Well, you could describe them as names of colors explained by object or other things that posses this color. In the this chart you can see some of them. “Ich liebe das Himmelblau in deinen Augen.” – I love the sky blue in your eyes. Well, grammatically spoken, this is called an “elision”. So, what you describe is something “blau”, so, blau wie der Himmel, (blue like the sky), Some expressions, like the ones above, are widely used and have a standard name, but if you have your own poetic mind and you want to transmit the impression of a color in your own way, there is no limitation but the pertinence of your comparison. So, expressions like the ones you have seen in the table above may transmit a little more than just the color. For example, “blutrot” expresses a really string, nearly dramatic kind of red – although it might just be a normal red color. Second, you just have to add the color you want to describe after one of the two expressions. As a result you receive nuances of colors in German like “Dunkelblau” which equals dark blue. Finally, we have reached the end of this article about colors in German. 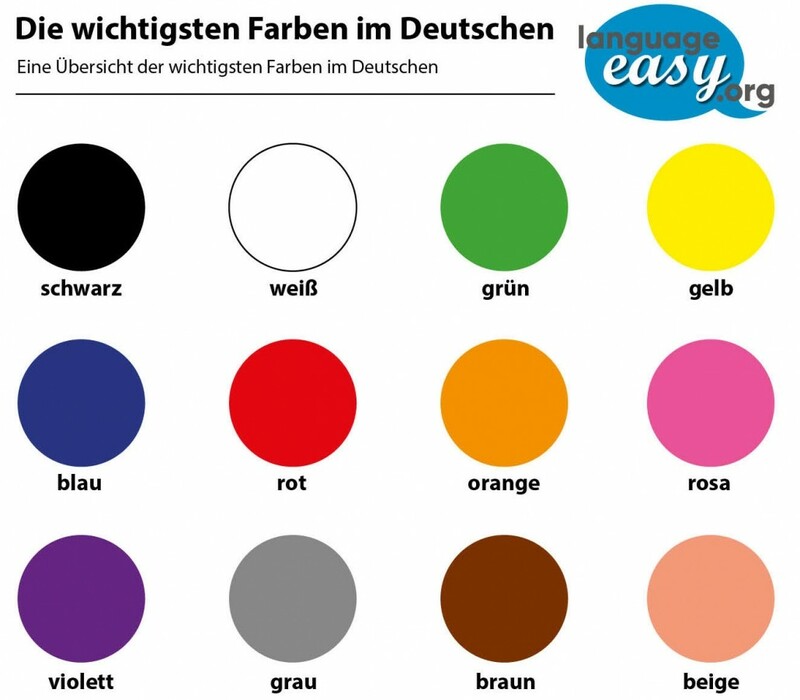 Hopefully, you received a basic idea of how to express colors in German. Well, you might have noticed that it’s not so difficult – you just have to keep in mind these rather simple rules from above. And if you learn your vocabulary, mastering colors in German should be not problem for you anymore! Well, this is a quite famous German meme, I think emitted by a radio station at exactly 12 pm. For sure you have noticed the error. Actually, this sentence should be “Es ist genau Null Uhr.” So, I think you don’t want to be part of the next time-meme in Germany, or well, even if you would want to be part of it, you should know how to tell the time in German. But let’s be serious, telling the time in German is a crucial element of German language. At first, it might seem rather simple to you, but telling the time in German includes at lot of parts of German grammar and is, unfortunately, rather complicated sometimes. But you simply have to see the positive side. Once you master telling the time in German, you will be able to do basic communication with native German speakers, you will know when the train arrives and will see really fast that your German becomes far more fluent. Well, as I already mentioned, the importance of telling the time in German is crucial. Obviously, there are a lot of section in daily life where you will have to apply your abilities to express time in German. In business situations, social interactions, in school, dating, and so much more it is very important simply to be in time! You will have to make appointments – something you can’t to without knowing how to tell the time in German. Traveling in German speaking countries becomes far more easier when you master telling the time in German. Logically, you will have to communicate with native people and know something about bus departure time, and much more. So, we have finally reached the most important part of this article. Now, we are going to learn how to tell the time in German. Well, I think we should start with the very basic question you will have ask and that you will be asked when you are in German speaking countries. “Entschuldigung, wie viel Uhr is es?” – Excuse me, what time is it? This question in some variation will occur really often in your day-to-day life in German speaking countries, so learn this one carefully. Another, really important part of telling the time in German is knowing the numbers from 1 to 59. Luckily, language-easy.org can offer you this article about German numbers, where you can find all the information you need to master this part of German. Additionally, there is some German vocabulary you should know when telling time in German. Apart from the question for time, there are the following words. Well, I can really recommend this article about German time phrases in order to learn some more detailed information about this part of telling the time in German. “Uhr” – The German equivalent of o’clock, used to denominate full hours. “um” – Means at as in “Let’s meet at four o’clock”. “vor” – Before like in “Seven minutes before midnight”. “nach” – The antonym of vor, of course meaning after. “viertel” – This means quarter like in quarter past/quarter to. “halb” – meaning half and is used to denote the half hour intervals between full hours. So, do you remember the wrong sentence from the beginning? Well, here is the correct way of telling the time in German. Actually, it’s the most common way of doing so. “Es ist zwölf Uhr.” – It is twelve o’clock. Of course, you can apply this way of expressing the time to any other time. Now that you know the numbers and words for before and after the hour, you can plug those into a common time-telling phrase. “Es ist Viertel nach acht.” – It’s a quarter past eight. Then we have “Es ist Viertel vor drei.” – It’s a quarter to three. Finally, “Es ist halb sieben.” – It’s half an hour before seven. Of course, there is also an exact way of telling the time in German. Unfortunately, it is a little but different from way we have learned above. But you will see that it’s no really difficult. So, for expressing the precise time, you have to say the hour first and then the word “Uhr” and at last the minutes. So, let’s look at this by an example. “Es ist sieben Uhr dreizehn.” – It is 7:13. Keep in mind, that in German speaking countries, the form of expressing time in 24-hour kind is used really frequently. Of course, its calculation is quite simple and doesn’t need any further explanation. Nevertheless, here is a table for you just in case you want to get sure to say the right time. Unfortunately, we have come to the end of this article. Luckily, we might think… But once you’ve in a German speaking country, you will understand the importance of telling the time in German. 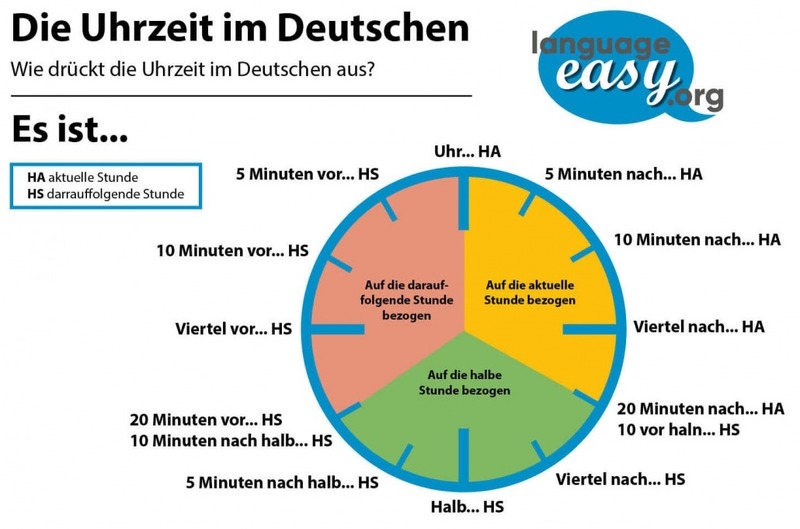 I hope, this article could help you to understand the basics of time in German – if you are interested in some more interesting facts, explanation and examples of German grammar, just have a look on the other topics on language-easy.org! Whether you want to do business in Germany or count the endless numbers of exceptions in German grammar – German numbers are an essential part of this language. It simply doesn’t matter how hard you try to avoid them, they will always find you. Well, you actually have to know German numbers for the most essential things. First, you will need counting in every job in Germany. Even if your word is not connected with numbers, you will have to interact with other people who speak German! Furthermore, I think that you’d love to control you finances when you travel. Just be conscious about the fact that it is a lot harder for other to play tricks on you if you know German numbers. There are also many other area where you need German numbers: For example, recipes, telling the time, when you ask for directions and if you’d like to order more than only one beer. So, let’s face the enemy and start right ahead with a detailed look on German numbers! By the way, on language-easy.org we have even more articles about German grammar and culture. Just browse on the website and will you find all the topic. So, let’s go right to the most most important part, the direct translation of German number from one to twenty. For sure, you have noticed, that there is certain structure in the German numbers from “dreizehn” until “neunzehn”. These numbers are so called compound nouns. Luckily, we can offer you to have a look on our article about German nouns, in case you are interested to get to know more about this topic. Unfortunately, after teaching the German number “zwanzig”, it becomes quite different compared to the numbers in English. Actually, it is no big deal: The trick is to build the word for the German number in the completely opposite way you would do it in English. So, this means that the smaller number is followed by the higher number. As an example, look at the number “zwei – und – zwanzig”, which can literally be translated by “two – and – twenty”. Well, by knowing this order and the “und” between them, it should be no problem for you to form the numbers from 21 to 99. Here is the list with the German numbers and their translation. From now on, it is getting quite easy until we reach the German number 99. All the numbers are formed in the same way I described about. So, the only thing you have to learn by heart are the following numbers. Please, Notice how the teens are slightly different from the way you’d say numbers like 20 and 30. Zehn (ten) is placed at the end of each word for the teens, while zig or ßig (umpteen) is put at the end for higher numbers. Well, once we have reached the number one hundred, it becomes far more logical to form German numbers. By the way, did you know that all the German numbers have the feminine article “die”? Anyway, let’s come back to our list. Of course, there is a low probability that you will have to count to one million in German. Nevertheless, it is really useful to know these high numbers when doing business. So, now you know how German numbers work. But how – in God’s name – should you remember all the number? In the following, I’d like to give you some advice that will hopefully help you to learn this part of German language more easily. Of course, it is quite difficult to remember all these different numbers as many of them are quite weird from an English-speaking point of view. 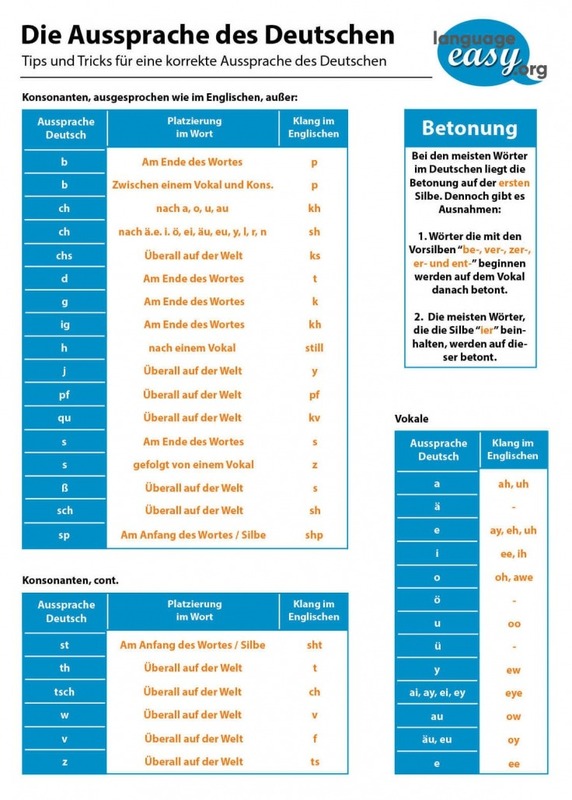 Nevertheless, there are some tricks that can make it easier to learn German numbers. First, you could watch from time to time videos, in which they count in German. This could not only help you remembering the numbers themselves but also improve your pronunciation. Third, you could take your German counting to the gym. Whether lifting weights or doing crunches, counting your reps and sets comes into play for improving yourself physically. This is the perfect time to run through your German counting in your head or out loud. Last but not least, try to play games like monopoly in German! Logically, you will have to count your money and so practice German numbers quite frequently. As a small, last point of this article, I want to talk about ordinal numbers in German. There are some irregular words until number 20, but from then on, it becomes aboslutly regular. But have a look on the list by yourself. Well, I think these are the basics you should know about German numbers. I hope, this article was useful to you and could give you some structured information. 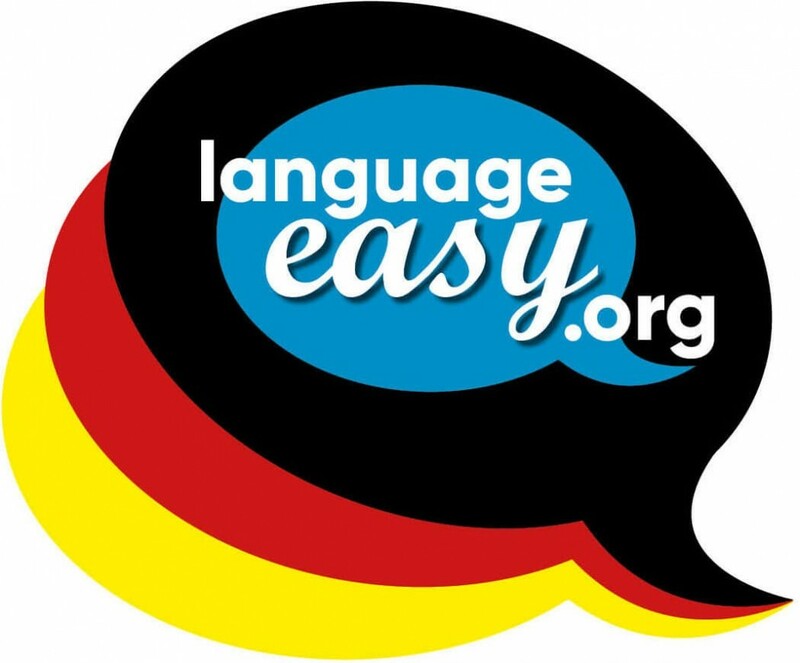 If you are interested in some more information about German grammar or culture, just have a look on language-easy.org!